In the tradition of thinkers such as Renaud Barbaras and Donald Landes (among others) Daly reads the trajectory of Merleau-Ponty’s thought as mostly continuous. This means that one is not forced to choose between a so-called ‘early’ or ‘late’ Merleau-Ponty. Daly attempts to construct an ethics in Merleau-Ponty’s project by showing that the subject of experience set out in the accounts of perception and behaviour in The Structure of Behaviour and Phenomenology of Perception become more explicitly axiological in the writings on aesthetics and language such as ‘Cézanne’s Doubt’ and The Prose of the World, where expression and style become central themes, to his final writings ‘Eye and Mind,’ and The Visible and the Invisible where he finally presents his non-dualist ontology, cashed out in the terms of ‘flesh,’ ‘reversibility,’ and ‘chiasm.’ Thus, she argues, for Merleau-Ponty the relationship between the percipient and her object of perception are fundamentally interdependent and this relationship is axiological. 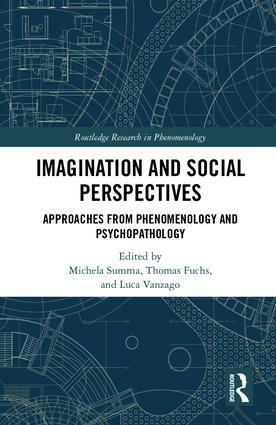 She combines this excellent reading of Merleau-Ponty with trends in contemporary embodied approaches to neuroscience to provide empirical validation for the ontological claims made by Merleau-Ponty. The book then can be divided into two sections: exegetical and empirical. 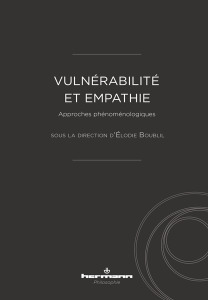 Chapters 2-5 comprise Daly’s close reading of Merleau-Ponty while chapters 6-8 connect the account with contemporary neuroscientific approaches to perception and action, with a particular focus on the experience of empathy. Daly’s book is well written, persuasively presented, and she clearly shows how Merleau-Ponty’s ontological insights can be useful to ethical discourse. For her, an ethical project in Merleau-Ponty arises out of the question posed by the encounter with the other that begins in perception. Thus the project is not a ‘first-order’ one of explicating norms, obligations, or practices that make up an ethical system. Rather an ethical project in Merleau-Ponty deals with the ‘second-order’ questions of who/what counts as the other, what is the nature of the relationship between the self and the other, and what is (or should be) our response to the other. Daly describes this as an ‘ethics of insight’ that finds its basis in Merleau-Ponty’s non-dualist ontology; the intimate relationship between self, other, and world that is, as she argues, inherently ethical. For Daly there is a ‘pre-objective’ and ‘pre-reflective’ relationship between the self and the other in Merleau-Ponty’s thought which allows for a ‘bottom-up’ approach to ethics. Daly provides a close, tight reading of all of Merleau-Ponty’s texts in these exegetical chapters and they are the strongest part of her book. Daly’s argumentation throughout this first half of the book is exceptionally strong, and nowhere is this better on display than in the fifth chapter ‘Objections to the Reversibility Thesis.’ This chapter sees her defending Merleau-Ponty’s crucial reversibility thesis against criticisms from Claude Lefort and Emmanuel Levinas. The reversibility thesis argues that ‘self, other and world are inherently relational’ and as Daly has argued previously this inherent relationality is ethical. What is crucial about this thesis is that it withstands sceptical and solipsistic objections. The thesis must allow for real communication between self and other, and for there to be real difference between these two agents; ‘the Other must be a genuine irreducible Other.’ Against the objections of asymmetry and the necessity of a ‘third term,’ that names and provides the law between self and other, as presented by Lefort, Daly argues that reversibility need not require symmetry or a third term. These criticisms fail to understand the idea of flesh as identity-in-difference. She argues that the problem of asymmetry – that the experience of the other remains opaque in salient ways when compared to the experience of myself – does not undermine the reversibility thesis but rather guarantees it. Reversibility is not a mechanistic process where terms are fungible, but rather is a process of ‘dialectical reciprocity.’ Because the world, the things there-in, and the self and other are meaningful-in-themselves Lefort’s ‘third term’ is redundant. The members of the relation organise themselves into a meaningful whole and there is no necessity for external meaning to be imposed. Levinas criticizes Merleau-Ponty’s approach for being reductive, claiming that reversibility reduces the radical alterity of the other and that his ontology is homogenous. Daly argues against Levinas that Merleau-Ponty’s ontology is non-reductive and that a number of lateral relations of alterity obtain between the subject, the world, and the other. Thus, for Merleau-Ponty, responsibility between self and other is bi-directional; with neither self nor other bearing sole responsibility towards the other member of the relationship. Daly presents Merleau-Ponty’s account as a non-theistic alternative to Levinas’ theistic account. In the second half of the book Daly brings Merleau-Ponty’s ontological claims together with contemporary phenomenological, psychological, and embodied neuroscientific approaches to perception, intersubjectivity, and empathy. She draws on the work of Shaun Gallagher, Thomas Fuchs, Francisco Valera, and Dan Zahavi (among others) to show how these accounts provide empirical verifications of Merleau-Ponty’s claims she presented in the first half of her book. 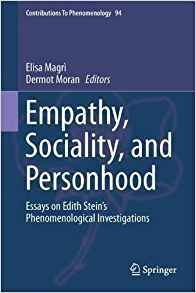 These empirical accounts illustrate that the interdependent relationship between self and other is deeper than the notion of social interdependence, and help Daly transition the ‘problem of others’ from an epistemological concern towards an ethical one. These chapters are well written and present the relevant research in an organised manner, however it is unclear if what she presents here will sway anyone who is not previously sympathetic towards Merleau-Ponty’s ontological view. Daly concludes her book by connecting Merleau-Ponty’s ontological claims to those made in Buddhist Metaphysics. She notes that there are striking similarities between Merleau-Ponty’s non-dual ontology, the inherently relational, and for Daly ethical, interconnections between self, other, and world, and the Buddhist notion of ‘dependent arising’ or ‘interdependent origination,’ that the self, other, and world are connected in ambiguous multi-causal chains which never settle into ‘pure’ identifiable entities. Both stress the interconnections and contingency of existence and offer a ground for ethics based on a form of insight. Daly is correct that there are fruitful connections and comparisons to be made between these two approaches. Although her book is not a work of comparative philosophy Daly’s use of Merleau-Ponty to illustrate Buddhist concepts and Buddhist concepts to further explicate Merleau-Pontian concepts is well executed and shows a commitment to heterodox approaches to philosophy. Overall Daly’s book is very strong but there are a few places where her argument could be strengthened. Key to a reading of Merleau-Ponty that argues for continuity between his early and late writings are the ideas of ‘expression’ and ‘style,’ which are found throughout Merleau-Ponty’s works. Merleau-Ponty has a highly idiosyncratic understanding of these two key ideas which become more important as he transitions from his phenomenological writings to his ontological ones. For Merleau-Ponty an expression is not an exterior sign of an interior thought, but is rather the embodied subject attempting to use instituted language in a way to say something new and different about the world. Key in this is that the expression itself is meaningful, and its usage then becomes the accomplishment of expression. Style is a sub-type of expression: a way of encountering an expression as a totality and finding it interpretable. Style is the way the embodied subject carries herself in the world and the manner in which she uses available gestures and linguistic expressions to communicate and interact in the world. The salient factor is that one’s style is expressive even if one is unaware of this expressivity. While Daly does discuss these concepts in her book their central role in the ethical relationship in Merleau-Ponty is not stressed enough. Daly’s discussion of style mostly centres on aesthetic and deliberate linguistic expressions and it is a missed opportunity to not extend the discussion to the notion of corporeal styles. This would allow for a connection to be made between style and the idea of flesh as identity-in-difference. Style, as presented by Merleau-Ponty, functions as an expression of the other’s entire being-in-the-world which is more identifiable in others than it is in ourselves. It is the manifestation of the radical alterity of the other; her complete transcendence of the other made partially available in immanent perception. For example, when we see the other act in the world we gain partial access to her alterity by the realisation that she does not comport herself in and towards the world in the same manner as we would. However, her behaviour is not so different from ours as to be incomprehensible. Style cements the notion of identity-in-difference which is key to Merleau-Ponty’s ontological claims and an ethics based on these positions. Daly’s defence of the reversibility thesis, which is well researched and expertly argued, seems another opportunity where the concept of style could be used to further her argument. Since style manifests relationally in the encounter between the self and other, or in the perception of the other’s engagement with the world, it provides evidence that the other we encounter remains always an other than myself. A second aspect of Daly’s book that needs development is the connection she wishes to make between Merleau-Ponty’s concept of hyper-reflection and the Buddhist notion of mindfulness meditation practices such as shamatha and vipassana. While the discussion of hyper-reflection in The Visible and the Invisible is brief and not, one assumes, fully developed, the connection Daly attempts appears to miss the mark. This is due to the fact that hyper-reflection and mindfulness meditation are two very different practices meant to be used for different facets of one’s life. Merleau-Ponty’s introduction of hyper-reflection occurs in the first chapter of The Visible and the Invisible entitled ‘Reflection and Interrogation.’ In this chapter Merleau-Ponty attempts to show how one of the ways in which philosophy has historically approached ontological problems is inadequate to describe the structure of existence. His main target in the chapter is Husserl and Husserlian transcendental phenomenology. For Merleau-Ponty reflection is the Husserlian methodology of epoché, transcendental reduction, and eidetic variation, which put out of play the nature of the world and the culturally, linguistically, and affectively formed experiencer of the world. For Merleau-Ponty, this is insufficient to allow one to understand the ontological interdependence that underpins the world of experience. Reflection, as a cognitive attempt to understand the phenomenon of perception and thus gain insight into the ontological structure of existence shows us ‘the necessity of another operation beside the conversion to reflection, more fundamental than it, or a sort of hyper-reflection (sur-réflexion) that would also take itself and the changes it introduces into the spectacle into account.’ Merleau-Ponty’s hyper-reflection, the taking into consideration both the existing world (with all its cultural, historical, and linguistic sedimentations) and the existing percipient (with all her affective, cultural, historical, and linguistic constituents), is what is necessary should we choose to attempt and gain ontological insight through the reflective or phenomenological route. This, then, is a highly cognitive process, meant to be used when one is engaged in philosophical or phenomenological undertakings. Hyper-reflection is a meta-philosophical position; it suggests how we should be doing philosophy if we choose to approach philosophy from the phenomenological standpoint. This means that hyper-reflection is a second-order conceptual process; a methodology of reflecting on how we reflect. Sharply contrasted with this is mindfulness meditation in Buddhism. Vipassana is a practice that begins with focusing on the breath in an attempt to both calm and slow down the routine cognitive processes of the mind. The aim is to gain direct, experiential, insight into the truth of interdependent origination. It is by actively stripping away the everyday cognitive processes of the mind that one becomes aware of interdependent origination, ‘no-self,’ and the other core ideas of Buddhism. Mindfulness meditation is radically non-cognitive, or perhaps better, an anti-cognitive practice. It asks one to focus on one’s breath as a means of slowing (and eventually) stopping entrenched cognitive processes so that one can experience the ontological interdependence of self, other, and world. This is why, for example, the Zen kōan is a riddle that specifically cannot be answered by the cognitive faculties. The insight required to ‘answer’ a kōan is achieved through sitting in meditation with the riddle and not thinking about it. The point of kōan or mindfulness practice is to break down normal cognitive faculties so that we can see the world in a different way. Mindfulness meditation is a first-order practice meant to change how we experience the world. The issue with connecting hyper-reflection and mindfulness mediation, as I hope to have illustrated, is that the two are incommensurable in at least two ways. The first is that where hyper-reflection is a second-order meta-philosophical positon about how we should do philosophy, meditation is a first-order practice concerned with transforming our experience. The second incommensurability is that hyper-refection is a highly cognitive process where mindfulness is a radically anti-cognitive exercise. Both attempt to illustrate similar ontological claims but they cannot function analogously. The parallel that can be drawn between mindfulness meditation and Merleau-Ponty’s philosophy is to the latter’s account of perception coupled with the phenomenon of expression. In his ‘Unpublished Text,’ Merleau-Ponty describes how perception and expression can show a ‘good ambiguity,’ which would be spontaneous and gather ‘the past and the present, nature and culture into a single whole.’ He goes on to describe this ambiguity as a ‘wonder’ stating that this would be metaphysics and the beginning of the ethical. This coupling of perception and expression described as wonder is the closest Merleau-Ponty gets to a direct experiential access to his ontological view. This of course presents a difficulty. Merleau-Ponty’s account does not give us the practical tools for how we are to have this experience of perception coupled with expression nor does he state how this will help one come to understand the concepts of flesh, reversibility, and identity-in-difference. Merleau-Ponty’s account lacks the practical elements that are built into Buddhism and mindfulness practice. None of the above criticisms are meant to detract from what is, on the whole, an excellent and welcome entry in the growing secondary literature on Merleau-Ponty and ethics. Daly presents a strong case for reconsidering the ethical encounter in Merleau-Ponty’s thought and her views will prove useful to any scholar wishing to advance an ethical project based on Merleau-Ponty’s work. Her book makes an important contribution to the linking of phenomenological philosophy with the cognitive sciences and the intertwining of Western and Eastern philosophies is extremely valuable for anyone interested in comparative philosophy. Her characterisation of his view as non-dualist ontology and her defence of the reversibility thesis are invaluable tools to anyone wishing to advance a heterodox approach to ethics. Maurice Merleau-Ponty, ‘An Unpublished Text by Maurice Merleau-Ponty: A Prospectus of his Work,’ trans. Arleen B. Dallery in The Primacy of Perception and Other Essays on Phenomenological Psychology, the Philosophy of Art, History and Politics, ed. James M. Edie (Evanston, IL: Northwestern University Press, 1964), 3-11, 11. Hereafter Text. Maurice Merleau-Ponty, Phenomenology of Perception, trans. Donald A. Landes (London: Routledge, 2012). See especially Part One; Chapter Five ‘The Body as Sexed Being,’ (156-78) and Chapter Six ‘The Body as Expression, and Speech,’ (179-205), as well as Part Three, Chapter Three ‘Freedom,’ (458-83). Hereafter PhP. Anya Daly, Merleau-Ponty and the Ethics of Intersubjectivity (London: Palgrave MacMillan, 2016), 26. Daly provides an excellent gloss on the difference between ‘non-dual ontology’ and ‘relational ontology’ arguing that relational ontology can, and often is, misconstrued as a form of monism (i.e. what actually exists is the relation, not the distinct relata as constituent parts of the relation) which misses Merleau-Ponty’s ontological insight that the ‘flesh of the world’ is identity-in-difference. See note 22 at Daly, 26. See for example: Renaud Barbaras, The Being of the Phenomenon: Merleau-Ponty’s Ontology, trans. Ted Toadvine and Leonard Lawlor (Bloomington, IN: Indian University Press, 2004) and Donald A. Landes, Merleau-Ponty and the Paradoxes of Expression (London: Bloomsbury Academic Publishing, 2013). Daly, 9. This is in contrast to ‘top-down’ approaches such as consequentialism, deontology, and virtue ethics. The concept is only explicitly used by Merleau-Ponty twice in the book. See Maurice Merleau-Ponty, The Visible and the Invisible, ed. Claude Lefort, trans. Alphonso Lingis (Evanston, IL: Northwestern University Press, 1968), 38 and 46. Hereafter abbreviated VI.